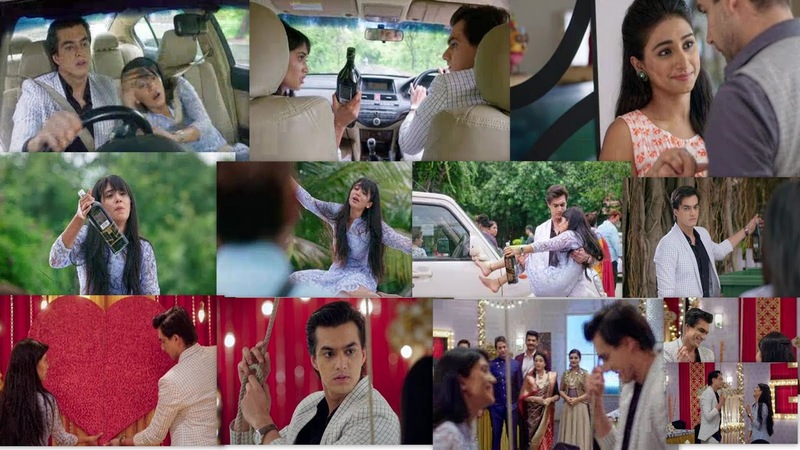 Yeh Rishta Kya Kahlata Hai 4th July 2018 Episode Written Update"Naira's Drunken Drama Kaira Laughs with Each Other. Episode starts with Kartik and Naira check some hotels. They argue and don’t select any venue. Kartik asks Naira if her taste got bad. She taunts that her taste is really bad and she has realized it now. They have their regular arguments on the way. She tells him that they will get separated and finish their work so that everything can be done on time. He asks her about her leg injury. She asks him about his drinking addiction. They both stay with their questions. They demand each other to answer first. Naira acts drunk to make Kartik realize his mistake. She tells the people that drinking is a bad habit. Kirti and Naksh have a sweet moment. He wishes her on their anniversary. Kartik looks for Naira. He lies to Naitik that Naira is with him. He asks him not to worry. He finds Naira creating a scene on the road. He gets a huge shock by her silly behavior. Naira complains to everyone about Kartik, how he is hurting her. She tells that Kartik has much sorrow and now he is giving the same sorrow to her. Kartik asks Naira to end the madness and come down. She tells him that alcohol will solve all their problems. The people scold Kartik for being a wrong example for his wife and making fun of himself. Kartik tells Naira that alcohol won’t help anyone. She ends the drama and asks him why do you drink wine so often. She tells him that he is doing wrong, and this was her way to explain him, that his wine addiction is hurting everyone around. She makes him realize his mistake. She asks him to get rid of his addiction. She makes Kartik promise and gets glad when he listens to her. Dadi and Bhabhimaa get back to their old arguments. 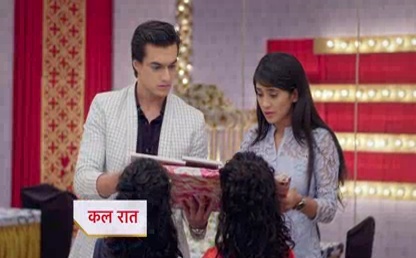 Kartik and Naira shop for themselves and Kirti-Naksh. Kartik doesn’t concentrate and comments on her every choice. She asks him not to pass time. She asks him to select clothes for Naksh. 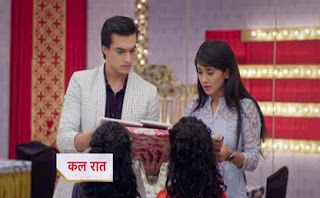 Kartik chooses a dress for Naira. Surekha tells Akhilesh that she didn’t become selfish, but she is getting affected by the family issues. She tells that she respects Naksh a lot, but she had to break relations with everyone just because of Suwarna. Akhilesh wants her to become a part and celebrate the anniversary well. Kartik and Naira get together and decorate the venue. They recollect their past moments. They get talking like before and have a laugh on their kiddish behavior. The family finds them happy together and wishes that they unite soon. Their happy moments give new hopes to Naitik and Manish. Everyone wishes Kartik and Naira reconcile. Love Kush Give Gift to Naira and Kartik and they Get Shocked to See Old Collage Frame Kaira written On that Frame.